I was always interested in art history, particularly 17th century vanity paintings. 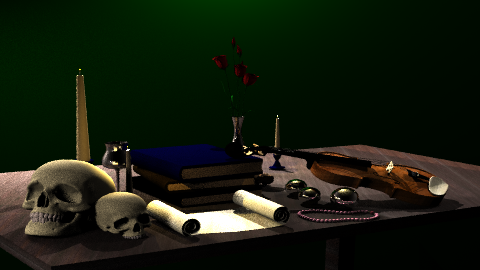 Admiring the symbolism behind every single object in the painting, I decided to create a vanity scene for my rendering competition entry. 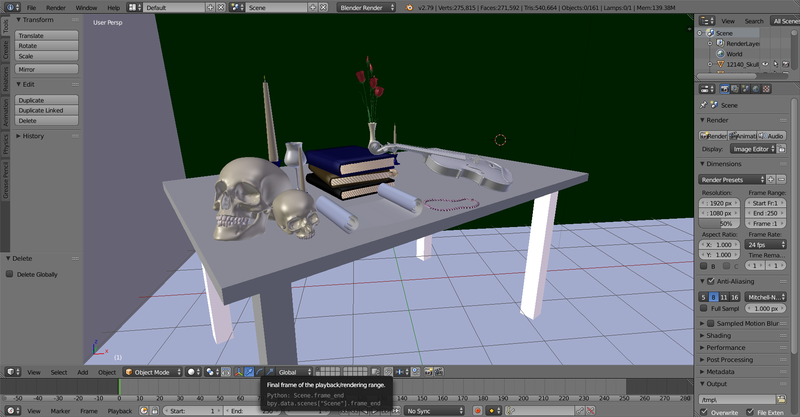 I designed the scene using blender and a set of preexisting models and textures. 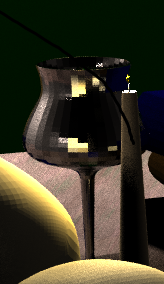 At the bottom of the page you will find all the models that I used while creating the scene. I used pointlights for candles but without additional illumination, the scene was really dark. 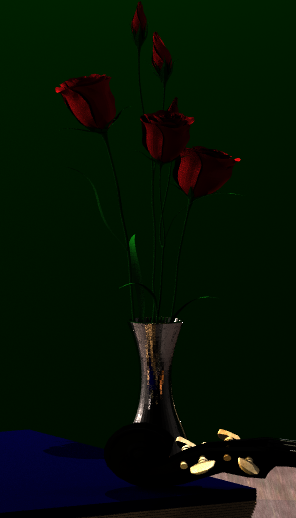 Thus, I added 3 area lights and one more pointlight around the table. There are a total of 271594 faces in the scene. The rendering takes approximately 50 minutes on a i7 2.6Ghz processor. Both images are rendered with 17 samples.